Andrew M. Shepard is a Director at RINET. He is a member of the firm’s investment team where he oversees the due diligence, selection, and monitoring of RINET’s alternative and private placement investment strategies. He is part of the team responsible for the firm’s overall investment strategy and tactical asset allocation decision-making. Prior to joining RINET in 2011, Andrew was a Senior Research Analyst at Federal Street Advisors, one of just three individuals leading the firm’s investment research program. Prior to that role, he was an Associate at Weston Financial, focusing on wealth planning and investment research for high-net-worth individuals. 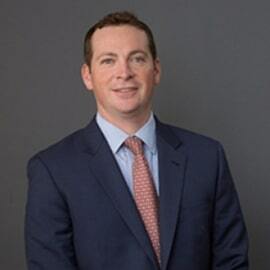 Andrew is a Chartered Financial Analyst® and a member of the Boston Security Analysts Society. He holds a Bachelor of Business Administration with Honors in International Business (with a focus in Finance and Economics) from The George Washington University. Andrew lives in Boston, MA and enjoys golf, skiing and sailing.